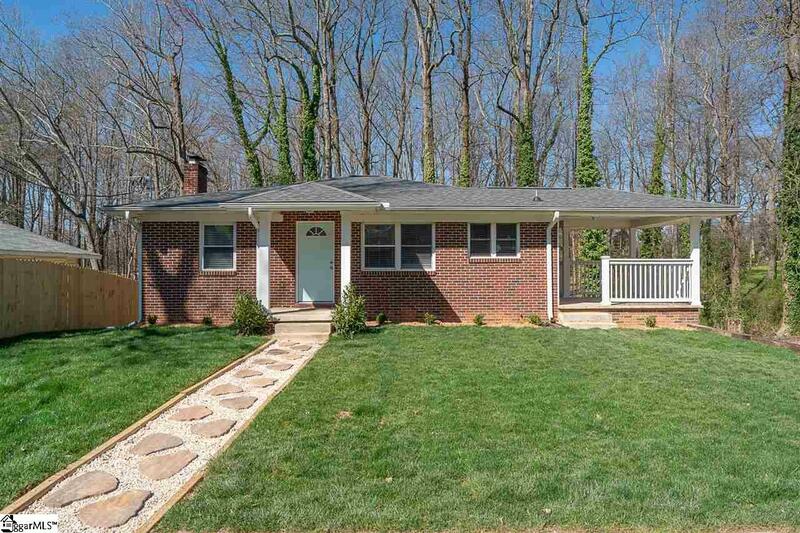 Brick bungalow with finished, walkout basement and beautiful, wooded lot with creek. 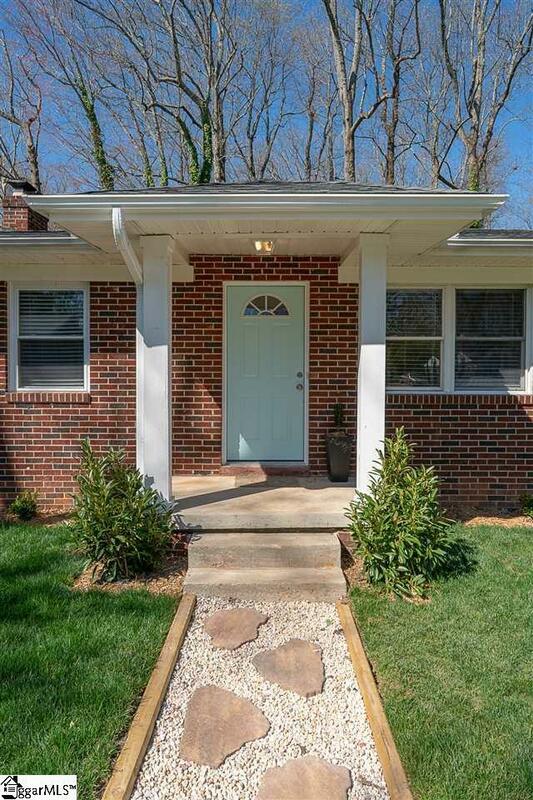 Two bedrooms and two full baths on first level and guest suite with full bath in finished basement. 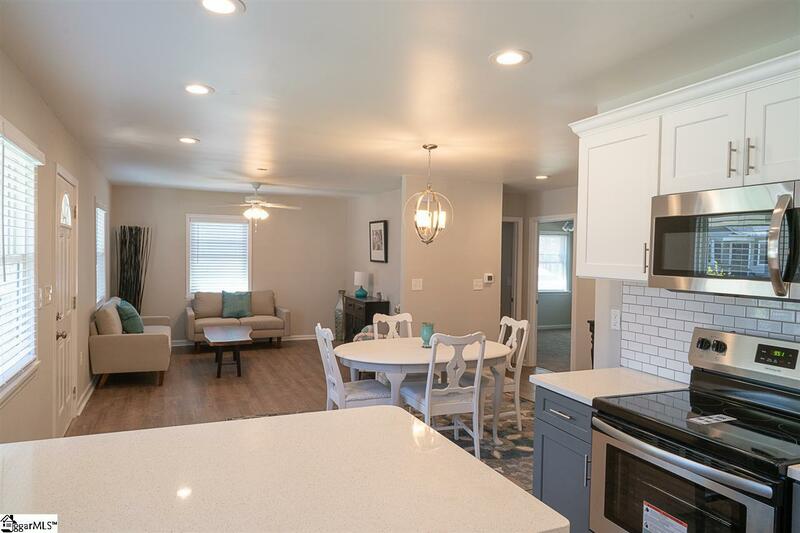 Completely renovated with open floor plan, modern kitchen with stainless steel appliances, shaker cabinets, quartz countertops and great outdoor living space. 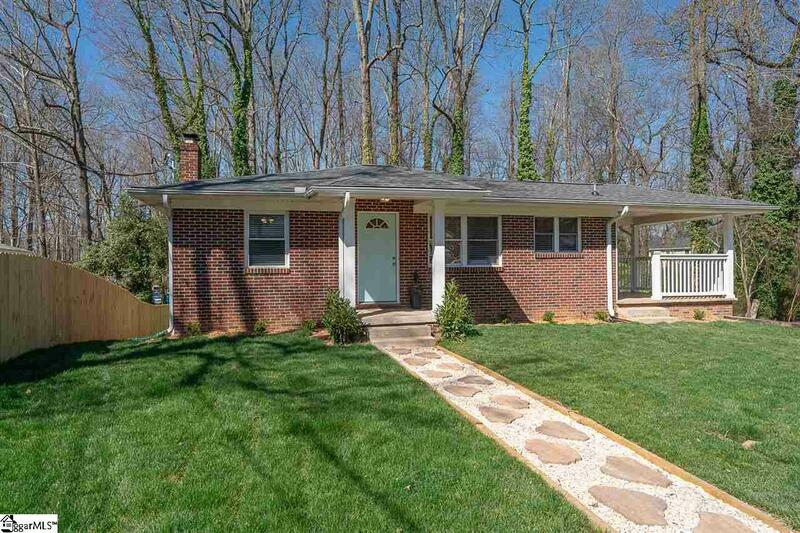 Covered porch just off the kitchen for outdoor gatherings and patio off the basement. Plenty of storage in attached garage and storage room in basement off the laundry room. Convenient location and quiet neighborhood. This house qualifies for an exclusive loan program with United Community Bank 100% financing and NO monthly insurance MI with a minimum credit score of 620. Listing provided courtesy of Wendy Lynam of Liv Greenville, Llc.